A clean up has been undertaken at Burton Ferry this afternoon following the discovery of oil on a stretch of the shore this morning. Sporadic globules of oil were found on the upper shoreline between the Landing stage and NATO quay. No evidence has been found elsewhere. A multi-agency meeting was held in Pembrokeshire following the discovery to investigate the source of the oil and agree actions. 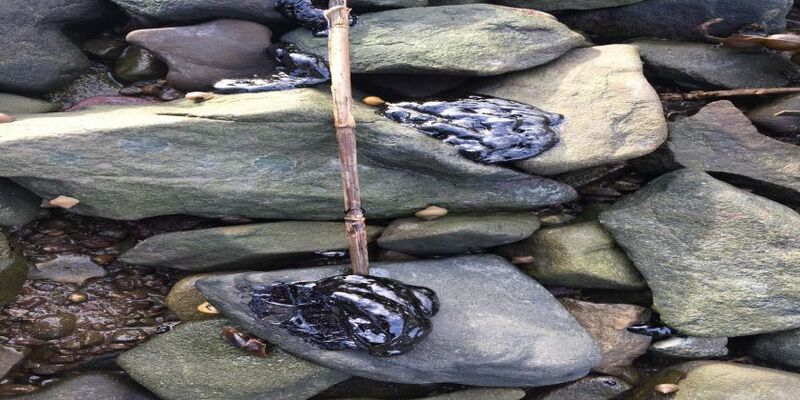 “Our officers are currently investigating the oil pollution which has washed up at Burton Ferry. We’ve taken samples and will analyse the material to help us identify where it might have come from. The clean-up aims to remove the worst of the pollution from the beach before the next high tide, and the beach will be surveyed tomorrow morning. Signs have been erected by Pembrokeshire County Council advising members of the public to keep away from the shore. A spokesperson for Public Health Wales said: “It is unlikely that anyone exposed to the oil for a short period of time will have any adverse health effects, but it is still sensible to avoid contact with oils or the water in contaminated areas. “If anyone gets oil on their skin, they should remove any affected clothing and wash using soap and water and if they feel unwell seek medical attention.